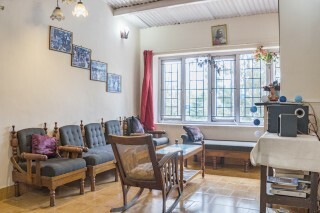 Situated just 750 m from Ooty Lake, this is an offering of a private room in a guest house that can accommodate up to three people. The property has ample parking area and offers other amenities also including room service and housekeeping. 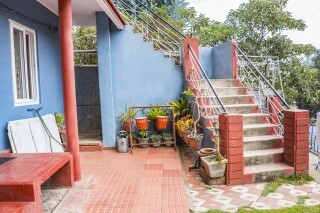 The property is also close to Thread Garden and Rose Garden. Your Space Stationed against a backdrop of verdant landscape, this charming property has a rustic brick façade and is enhanced by potted plants. 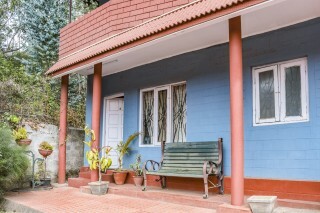 This guest house features a well-tended garden equipped with easy chairs so that you can sit comfortably and unwind. The porch area makes for the perfect place to read or scribble some notes in your travel journal. 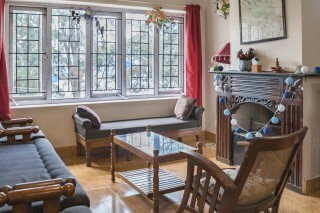 The living room is appointed with comfy sofas, a daybed, and a fireplace that keeps the space warm. 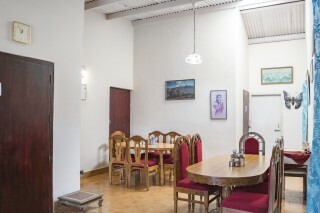 The dining area is furnished with wooden dinettes. 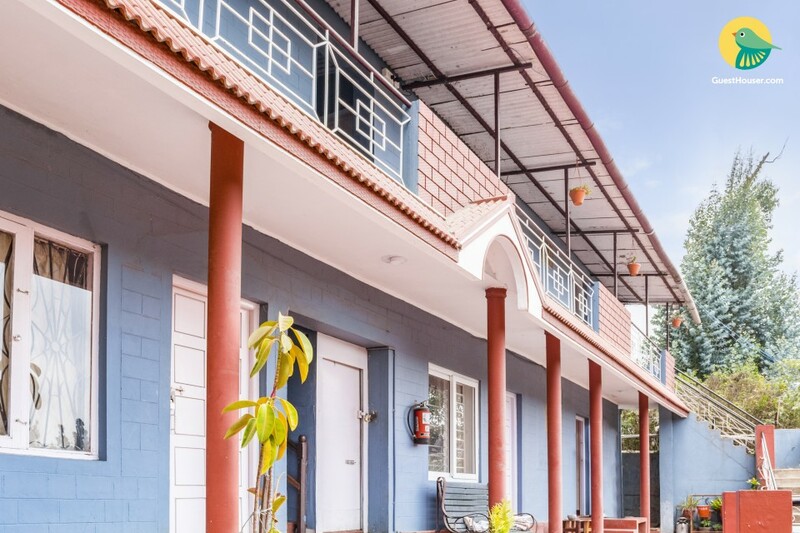 The room on offer is appointed with a comfy double bed with a bedside table, a wardrobe with a generous storage space, a dresser for dressing convenience, and a television for entertainment. The attached bathroom is well designed and equipped with modern sanitary ware. The spacious balcony is the perfect place to enjoy the crisp mountain breeze. Places to visit - Ooty Lake - 750 m. Thunder World - 350 m. Thread Garden - 750 m. Rose Garden - 2.0 km Avalanche Ooty - 20 km. Botanical Gardens - 2.9 km. Murugan Temple - 3.0 km. Doddabetta Peak - 9.1 km. Emerald Lake - 20.6 km. We had an amazing stay for 3nights. Rooms were clean and comfortable especially the rest room. Very friendly host,thankyou Prabhu and Natasha. simple and comfy rooms! garden was also good! 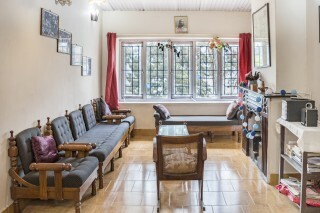 Budget Room just 0.5 km from Ooty Rose Garden. Ooty Railway Station - 650 m.
Coimbatore International Airport - 87.9 km. Ooty Main Bus Stand, Mani Vihar - 600 m.